Cycles Render 사용하면 surface 구성을 node editor를 사용하여 수정 할 수 있다. Transparent BSDF의 색상을 배경색(흰색)으로 설정하면 단풍잎 사진 배경이 투명하게 표현 된다. 다음 사진은 Alpha mapping에 사용된 단풍잎 사진. 아래 사진의 딸기 꼭지도 alpha mapping를 사용하여 만든 3D 영상이다. 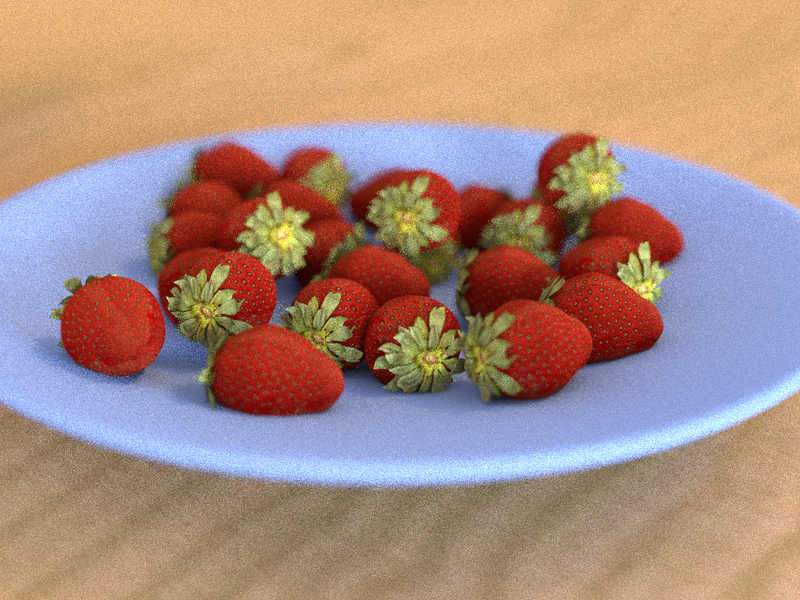 Rendered in Blender’s Cycles–56min. (960 x 720 pixels) with depth of field, 400 passes.